The effects of a hurricane do not end after its winds rip through a town or city. Families and children deal with the mental and emotional debris that can impact their lives for weeks and months after a violent storm hits. Destroyed homes. Closed business. Shuttered schools. Blocked roads. The trauma of hurricanes can cause children to develop depression, separation anxiety and other mental health issues. It can even cause conflict in family relationships. Our team of WUFT journalists researched three solutions that could help children and families overcome and prevent mental health and family problems after a storm. Bay County school district closed schools too damaged to reopen after the storm. The district says they don’t know when those schools will reopen due to the large number of displaced students. After Hurricane Michael destroyed the roof and walls of University Academy in Panama City, the school relocated all of its students to a hotel ballroom for weeks after the storm. The school’s principal, Wes Smith, says getting the kids back in the school routine after the storm helped them recover and feel less scared. He says the kids were able to engage in conversation with adults and peers about the storm making them feel reassured and less fearful. “We knew it would be good for the kids to talk about it and to go ahead and get that out,” he says. Getting back into a routine and returning to school can help children feel less stressed, according to Craig Fugate, the former director of the Federal Emergency Management Agency. When kids go back to school, it distracts them from the trauma of the storm and helps them move on, says Principal Smith. 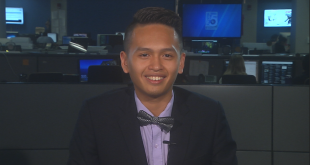 “There’s less focusing on the storm and the after storm effects and more pushing towards our academic goals,” he said. Schools can provide the day-to-day routine children need to cope and recover from a disaster, according to a 2017 report from the Oxford Research Encyclopedia. Positive support from adults in the schools can also help students move forward and feel less scared and anxious. Schools also allow children to form support groups to help each other, along with giving them a safe, consistent environment. 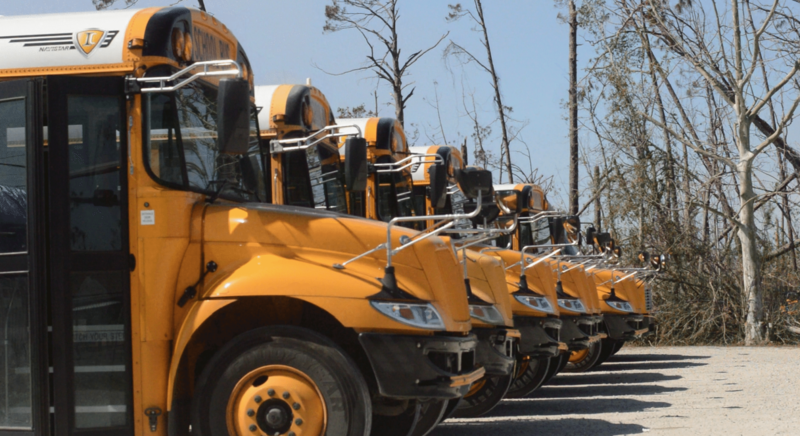 Bay County School District had to initiate a rolling start where schools were opened one at a time, not all at once, after Hurricane Michael hit. 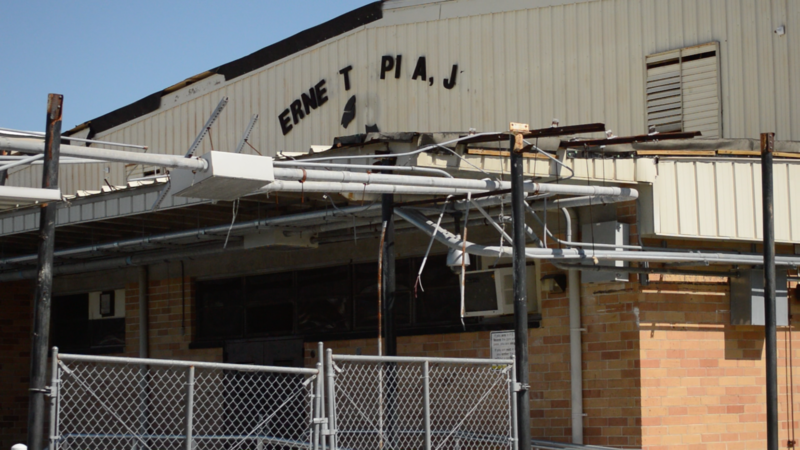 Some schools were too damaged, and others did not have enough students coming back to justify keeping it open. 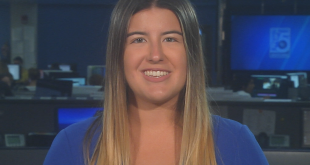 Kara Mulkusky, the director of student services for the Bay County School District, says some schools housed students from other damaged schools in the district to help these students find support and feel comforted. “It’s just been wonderful to see the way our staff have welcomed our students back and are so protective of them,” she says. Despite the destruction caused by Hurricane Michael, Spenser Dawson says he saw his community come together to help one another during a trying time. Neighbors helped neighbors cut themselves out of houses, unblock roads, build and fix parts of homes to stop leaks, take each other to the hospital and find water and other necessities. A strong sense of place must pair with people playing an active role in a community affected by a hurricane in order to help the community recover and rebuild, according to a study done after Hurricane Katrina on community recovery in the Ninth Ward of New Orleans. 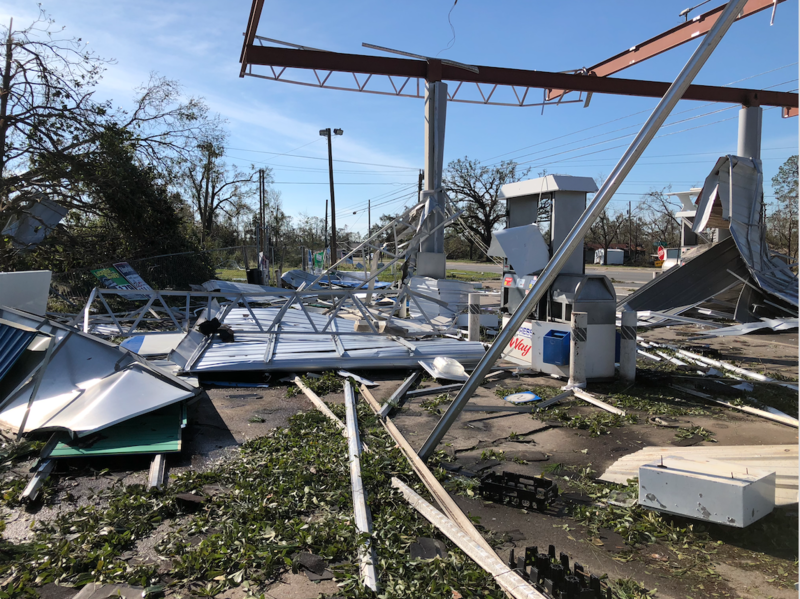 A family-owned Panama City gas station had its roof ripped off by Hurricane Michael. As Spenser’s community came together, those lending a helping hand and others receiving it did not know each other beforehand, he says. “To go through something as tragic as it was, and to see right after it all happened — at the destruction and everything else — you still saw humanity in all its finest,” he says. Along with interacting with the community, Elyssa Barbash, a trauma psychiatrist, encourages children and families to engage in open conversations to learn and talk about the kids’ fears, thoughts and feelings. Preparing for a storm can help prevent children and families from experiencing extreme mental and emotional affects after a storm hits. Despite the importance of planning ahead, many don’t and choose to disregard calls for evacuation or forget to shop for necessary supplies. Some just don’t believe their communities are at risk. Fifty-seven percent of surveyors did not evacuate before Hurricane Katrina because they misjudged the storm’s strength, according to a Gallup Poll done after the storm in Louisiana. Royce Gray, a psychiatrist in Panama City, says the most important decision a parent can make for their child is to evacuate before the storm. Leaving the area, he says, takes trauma out of the situation. Gray says there is a dramatic difference between those children and adolescents who stayed in town during the storm and those who evacuated. 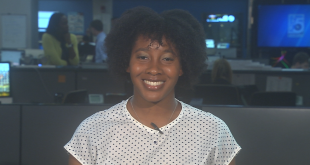 If families decide to stay put and brave out the storm, Gray says there aren’t many options to help children recover from the traumatic sights and sounds they may see during the storm. FEMA encourages families to prepare children for disasters as early as possible to make them more resilient and enhance their ability to recover from any type of disaster. The Department of Homeland Security provides detailed instructions on how to prepare and survive during a hurricane. 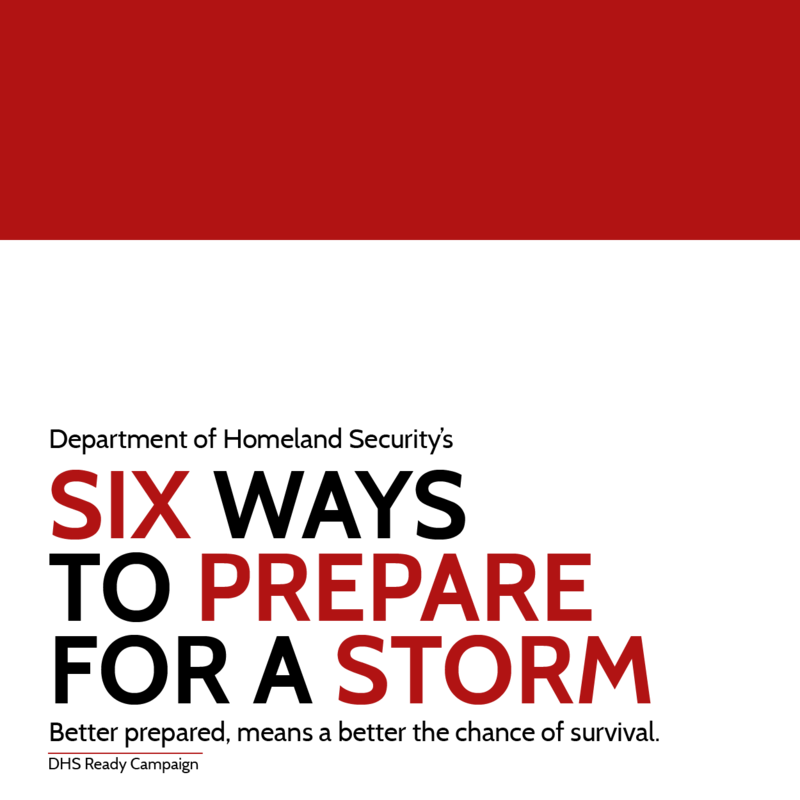 The Ready Campaign includes steps on what to do when the storm is less than two days away, such as reviewing evacuation plans, filling cars with gas and restocking emergency preparedness kits. Another way to prepare for storms is providing resources and letting children talk about their fears before the storm hits, Barbash says. What does surviving a hurricane mean to you? When a hurricane hits, television news is littered with sad videos of homes flattened, cars drifting away in floodwaters and tents set up where communities used to be. “Invisible Aftermath” is about the destruction the storm leaves behind mentally for families. Spenser Dawson, father of three: His daughter has developed sensory issues and his son has PTSD since Hurricane Michael. He says he feels hurt by the storm’s impact on his kids. Dr. Royce Gray, a psychologist at Emerald Coast Behavioral Hospital: His patients waited out Hurricane Michael in the hospital, which closed after from serious structural damage. He regrets hunkering through the storm in Panama City. Brianne Carlson, mother of two: Brianne’s family slept in the hospital she’s a nurse at during Hurricane Michael because they thought their home wouldn’t make it. Since the storm, her 5-year-old son Jace cries at school drop-off because he doesn’t want his mom to leave him. We asked each to answer this question: What does surviving a hurricane mean to you? Watch some of their responses below.